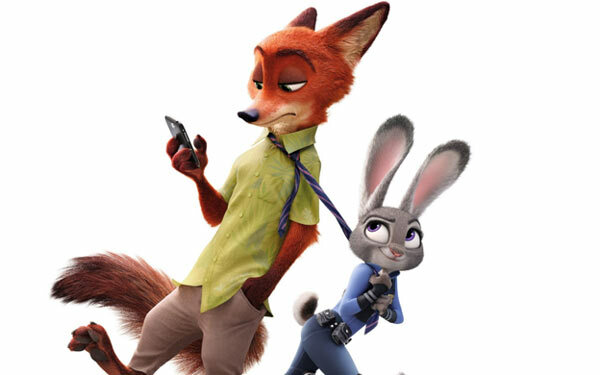 We are all going awwww over Disney’s latest ‘talking animal’ movie, Zootopia. So we thought, why not take you behind the scenes of this amazing adventure. From Mickey Mouse to The Jungle Book, talking animal movies have been a favourite Disney theme. With Zootopia, they have gone a step further. Here the animals not only talk, they walk, wear clothes, and go to work. In short, if they were not animals, they’d be humans. But there is more behind the scenes that made this wonder possible. Even before the animators started to break down the sequences, they spent close to 18 months researching movements, hair & personalities of all kinds of animals. This helped them decide all the animals that would feature in the film & in what roles. Of course, as is always the case with research, close to 80% of the design work didn’t make it to the final film. And yet, Zootopia proved to be a huge place. There are around 800,000 different & unique characters in the movie. The biggest challenge was to make all the animals walk. Animators observed & studied the walk of each animal so that they could convincingly change the walk, once the animals stood up on twos. They also needed to make the walk of each animal distinct & different from the other. For some animals they had previous references in the form of other animations like Fantastic Mr. Fox & Bugs Bunny. But for majority, they had to come up with the walk on their own. One animal species that was consciously left out of the group was apes. Once the animators started working on different species, they realised that apes looked too human once converted to two feet. They decided to leave them out of the animal kingdom so that attention is not diverted from the other species. Creating realistic fur has always proved to be a challenge for animators. But with Zootopia they proved their skills. Every single species in the movie has a completely different fur, with new colours, textures & length. To make sure that it looked real, animators put the furs through rigorous amount of light & process. Since each hair was created individually, a mouse had around 400,000 hair while a giraffe had up to 9.2 million. Look carefully & you will realise that nothing is still in Zootopia. From cars & signals to leaves on trees, everything is in motion, just like in the real world. To achieve this, the team developed a new software – Keep Alive. This software made it possible to keep every leaf, flake & shadow in constant motion to create complete reality. And there is no limit to the amount that it can control. Every tree in the movie had around 30,000 leaves & all in motion. This is a major step up from Frozen where a lot of things stood still. This movie is not just about the main characters but also about the background characters. Each character in the movie was given a story. Whether they appear on screen for a single scene or cover a major screen space, each of them was given a specific story. Even the crime boss is not what he seems. Mr. Big, in reality, is a teeny tiny shrew who happens to look, talk & act like The Godfather. And Gazelle, voiced by Shakira, is a famous pop singer in the city. 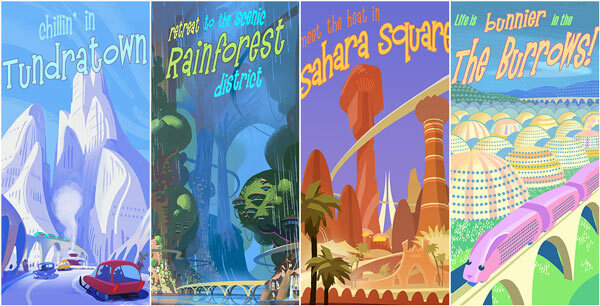 Zootopia has everything that a regular city will have – transportation, hotels, offices, etc. But unlike the real world, animals are of different sizes. So the city had to be designed for all kinds of animals. From escalators to doorways, everything was designed in different sizes. And the street signs are the funniest; from ‘Get Fixed’ to ‘No Foraging’ for the bunnies. One of the biggest things that divide the animal kingdom is climate. Keeping this in mind, Zootopia is cleverly divided by regulated air conditioning walls that distinguishes all the neighbourhoods – Tundra Town, Sahara Square, Rainforest District, Little Rodentia, the Burrows, Medowlands, Outback Island, and the Nocturnal District. It is not unusual for the storyline to change once production begins. In Zootopia, two major changes took place. Originally the city was to be rundown & broken. But the directors realised that this would make it look very depressing, and it was changed to be a happy, well-planned city. Also, the lead of the story was switched from Nick, the fox to Judy, the bunny. During production the team realised that making Judy the protagonist will give more optimism & positivity to the film. It is not uncommon for movies to pay tribute to other legends. Zootopia gives a nod to two cinematic icons – King Kong & The Godfather. When Officer Judy Hopps chases a bad guy through Little Rodentia (the rodent area), she is obviously too large for the place, and is scared of hurting anyone. The chase sequence is inspired from a similar sequence in King Kong where he is lost & scared in the big city, and causes damage unintentionally. The film also pays tribute to The Godfather with the Mr. Big sequence that is a recreation of the Connie’s wedding sequence. Of course, you can’t miss the reference to Frozen in Tundra Town. Who was your favourite character in the movie? Tell us in the comment box below. Previous ArticleInvesting in education? Get set for fantastic returns!